As the LGBTQ rights movement marches towards progress, the Republican Party has been slowly inching toward the center in some respects — but, in others, has firmly planted its feet two steps back. While some officials are beginning to back off the anti-LGBTQ rhetoric, the GOP's official platform is decidedly at odds with the queer community. But in a conversation with Bustle at the Democratic convention, Representative Darrell Issa (R-California) says that he is pleased with what he feels is a positive trajectory toward LGBTQ rights within the Republican Party, citing figures like Caitlyn Jenner as a sign of progress. Bustle asked how Issa felt about the direction of LGBTQ rights within the Republican Party, and he was wholly optimistic, saying, "I think it's good. I think like any other emerging question of how do we handle issues, this is one that our society is moving along very well on. Yes, you have to go back 50 years and look at the sixties to find really awful times, but there's been a steady improvement." But while American society may be improving as a whole, the right-leaning side of it has certainly been less willing to embrace the LGBTQ community. State Republican officials have launched an onslaught of more than 100 anti-LGBTQ bills this year alone, and the official Republican platform supports conversion therapy, anti-transgender legislation, and overruling marriage equality. The Log Cabin Republicans, America's largest conservative LGBT group, slammed the GOP platform, calling it the most "most anti-LGBT ... in the Party's 162-year history." Of course, there is one major caveat as to why Issa may feel his party is moving in this direction, despite overwhelming proof to the contrary: He possibly hasn't even read the party's platform. When asked about the anti-LGBTQ section specifically, the California congressman replied: "Every president, at least since Eisenhower, has answered that he didn't read the platform. So I think that's an issue that both parties tend to have, getting things put in." Issa's own positioning on LGBTQ rights also came under fire in May, when he was one of seven Republican congressman to switch their vote last-minute on a military appropriations bill that would have nullified previously adopted anti-LGBTQ language in the legislation. The amendment originally had enough votes to pass, but after Issa and the six other lawmakers changed their vote, the amendment failed on the floor. The anti-LGBTQ language stayed in the bill, sparking outrage among the LGBTQ community. 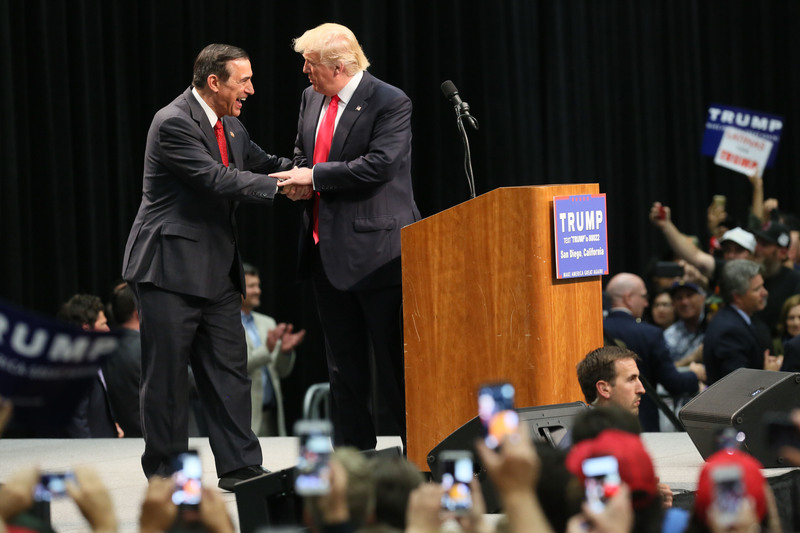 So while Issa may believe that the Republican Party is moving in the right direction, it's clear that there's lot of work left to be done.